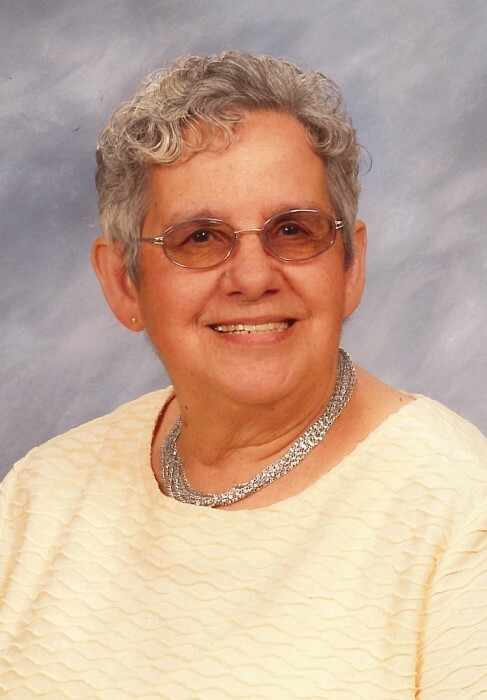 Lorna May Gouine was born December 21, 1927 in Cheboygan, Michigan to the late Ernie and Bertha (Phillips) Gouine. On August 13, 1946, she married Roy McEwen. He preceded her in death on June 22, 1987. Lorna enjoyed spending time with family, playing Bingo, poker games with family, canning vegetables, and cooking. Surviving are her four children, Ernie McEwen, Connie (Gordie) Shields, Cathy (Mark) Schultz, John (Patti) McEwen; daughters-in-law, Beverly McEwen, Gloria McEwen; 21 grandchildren; 48 great grandchildren; and 9 great-great grandchildren. McEwen; five sisters, Lorraine Leask, Neva McGrath, Betty Gouine, Sandy Bishop, LaVarne Bates; five brothers, Gerald Gouine, Cle Gouine, Roy Gouine, Marshall Gouine, and George Gouine. Memorial visitation will take place at Bannan Funeral Home on Saturday from 12 p.m. until the memorial service at 2 p.m. with Pastor Lee Blanchard officiating.